Talk about getting into the Barossa Vintage Festival Scarecrow spirit! 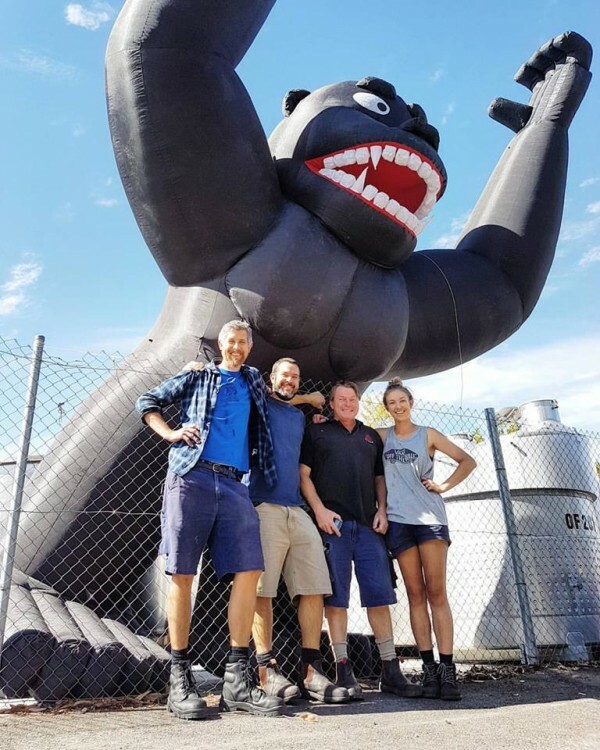 Check out First Drop Wines massive King Kong! The Dawn Of The Planet Of The Grapes! As is the tradition, Gantos has stuck his finger in the air, filled his lungs with sweet, ripe, smell of ferment and said "The end (of vintage) is nigh, bring forth KONG!!"